Gone are the days of schlepping to the library when you need to get some research done. There are now entire generations that don’t know how to use the Dewey Decimal System and probably think that microfiche is a term used to describe tiny aquatic swimmers. While the Internet has brought research capabilities to a whole new level of convenience and access, it brings with it a whole new level of concerns. So, how the heck do you navigate through all of the information that the Internet has to offer in order to conduct solid research? Well, I am here to show you how to hustle the Internet into giving you what you want. First off, indentify your research topic. In my role as a copywriter, I am tasked with illustrating the importance, or relevance, of a client’s service or product. For example, one of our clients developed a mobile customer loyalty app geared toward restaurants. I had to figure out how to convey the importance of customer loyalty to a restaurant’s bottom line and how this mobile app was going to increase their customer loyalty. Once I had my vision of what I needed to prove, I moved to the next step. Plan your search strategy by creating a list of keywords and phrases. The search terms that you use are absolutely essential to getting you what you need from the Internet. Think about any unique terms that could help you narrow down your search or using quotations and other symbols to specify a phrase. For example, typing in “customer loyalty mobile apps” will only bring back pages that have all of these words in the exact order that I typed them instead of pulling pages that feature any of these words. This will save you lots of time and frustration. 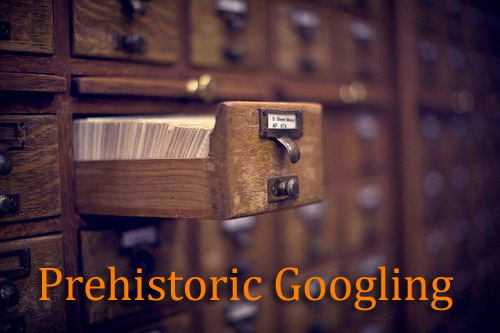 Now, start plugging those search terms into your preferred search engine. Remember that search engines all pull data differently which means that you should use a few different options when conducting your research. Google Scholar, INFOMINE and SearchEdu are great search engines that pull from scholarly journals and reputable sources that will save you time in the long run. Also consider using the advanced search feature in order to take greater control of how the search engine uses your keywords. Now that you are off and working your way through the interwebs, it’s time to learn about filtering through those results. Just because it is on the Internet, doesn’t mean it is true. The Internet often feels more like a rumor mill than a legit place to conduct research. What’s that? Winston Churchill was born in a ladies’ room during a dance? Bubble Yum chewing gum contains spider eggs? While the Internet may lead you to sources to prove these crazy claims, it doesn’t mean that they are reputable sources. Pay close attention to the source site, author, date of publication and general tone of the document. 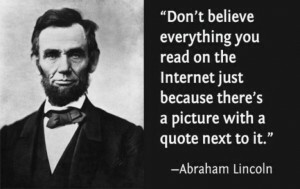 Objective sources are your best bet. Do a quick overall scan of the information and then decide if it is worth saving for further reading. Once you have found some good content, start bookmarking the sites. It’s nice to have all of your findings in one area so that you can review them at any time. It’s also good to keep them handy in case you need to cite your sources further down the road. I prefer to open up a Word document and simply cut and paste the web address. Other methods include using your computer’s Web browser bookmark tool or using a website such as Zotero, Delicious or Mendeley to help you organize your information. When you feel like you have a nice chunk of reputable data to support your point, it’s a good idea to reread through the pieces of information while thinking about your content outline. Start to get an idea of where you will insert your pieces of data in order to create the most powerful and compelling piece possible. Learning how to quickly source the reputable information you are looking for on the Internet does take some time. With a little practice (and maybe some sweat and a few tears), you, too, can research like a hustler. Great to know of these resources, Cody! Google Scholar, INFOMINE and SearchEdu, and good tip with starting research based on the key words you want to be found for. Taking note of these! I needed. I such a lot without a doubt will make sure to do not forget this web site and give it a look on a continuing basis.